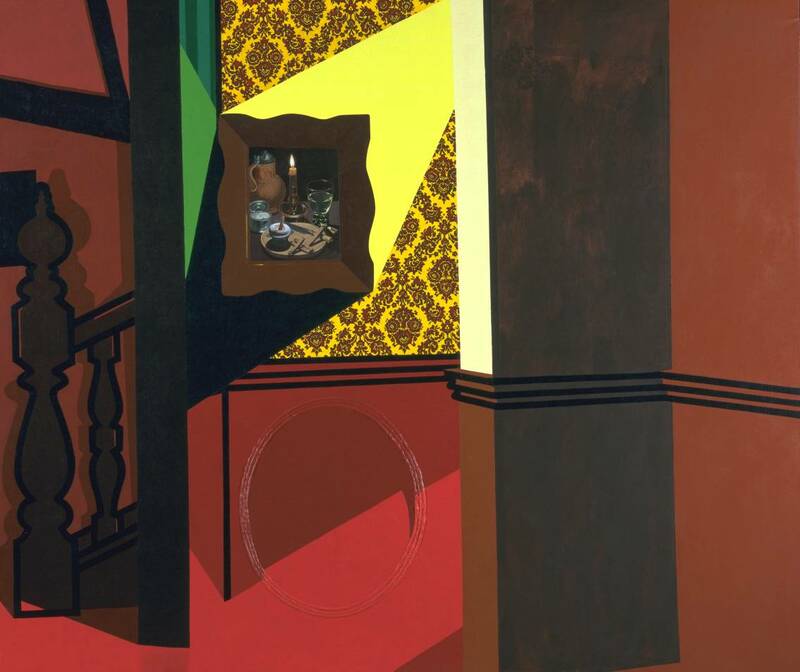 On the occasion of the exhibition Patrick Caulfield at Tate Britain (through September 1), curator Nicholas Serota and artist Dexter Dalwood look at two Caulfield paintings: Interior with a Picture (1985-86) and Dining Recess (1972). Dalwood comments: "What I really like... is just how 'hard-core' the paintings are, in the sense that they're so pared down. I think it was very hard at that point, in the early 70s, to make paintings which weren't about other issues, just to stick with his core interests and just tough it out. What's amazing about his work, when it is great, is it's intelligent picture making, which is as sophisticated as anything else. It's about a kind of idea of looking back at through the structure of interior spaces within painting and re-thinking it and coming up with a new version of it. I think that's what's tough and slightly perverse."